"A story of hidden love, challenged faith, and unwittingly shared grief." Strand Releasing has unveiled an official US trailer for a German drama titled The Cakemaker, which played at a number of film festivals throughout 2017. Made by Israeli filmmaker Ofir Raul Graizer, the film is about a talented young German baker who travels to Israel after his secret lover, an Israeli married man, is killed in a car crash. There he searches for his lover's wife and son, but ends up lost in an entirely different world with all kinds of feelings to deal with. Tim Kalkhof stars as Thomas, along with Sarah Adler, Zohar Shtrauss, Sandra Sade, and Roy Miller. The film won various awards at the Jerusalem Film Festival, Karlovy Vary Film Festival, and Miami Jewish Film Festival. This looks like a good under-the-radar foreign film to discover - see below. Thomas, a young and talented German baker, is having an affair with Oren, an Israeli married man who dies in a car crash. Thomas travels to Jerusalem seeking answers. Keeping his secret for himself, he starts working for Anat, his lover's widow, who owns a small café. Although not fully kosher and despised by the religious, his delicious cakes turn the place into a city attraction. Finding himself involved in Anat's life in a way far beyond his anticipation, Thomas will stretch his lie to a point of no return. The Cakemaker is both written and directed by Israeli filmmaker/artist Ofir Raul Graizer, making his feature directorial debut after a number of short films previously. This first premiered at the Karlovy Vary Film Festival last year, and also played at the Chicago and Palm Springs Film Festivals and many other fests. 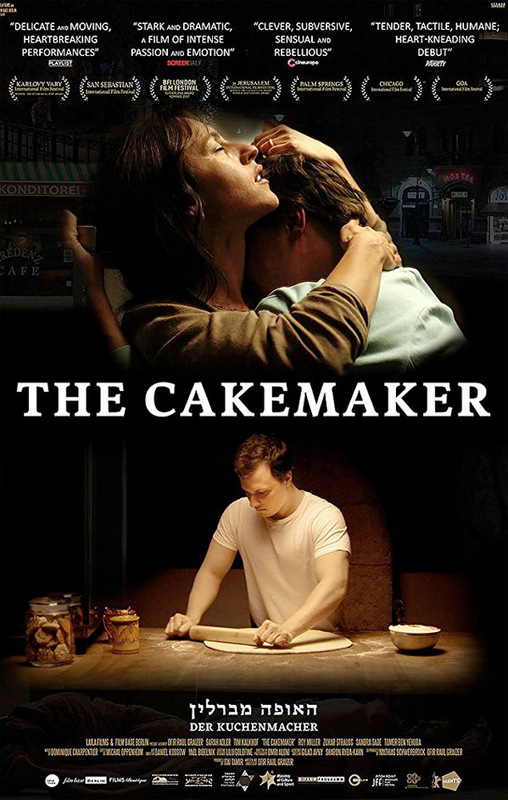 Strand will release Graizer's The Cakemaker in select US theaters starting June 29th this summer. Anyone interested?